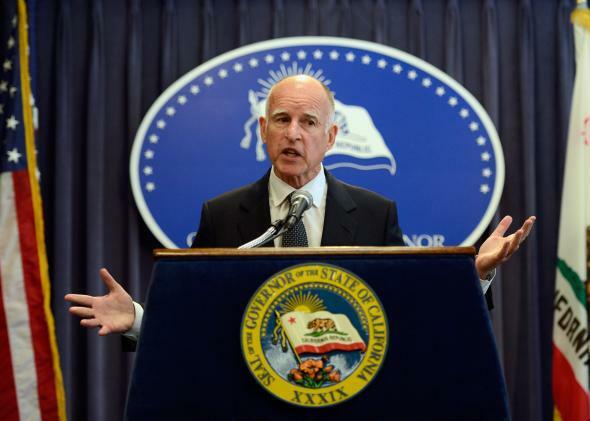 California Governor Jerry Brown vetoes drone surveillance law enforcement warrant bill. Jerry Brown doesn’t think government drone surveillance should always require a warrant. On Sunday California Gov. Jerry Brown vetoed a bill aimed at creating stricter guidelines for the use of drones in law enforcement surveillance. Under the bill, which had passed the state’s Senate and Assembly, police would have needed a warrant to use drones except in emergency situations like a hostage situation or fire. The bill also would have allowed for public agency drone use without a warrant if the information being gathered was unrelated to any type of crime. These agencies would have had to destroy any recorded footage within a year. The California police chiefs and sheriff’s associations opposed the bill. In a statement about his decision to veto, Brown wrote that while he believes some law enforcement drone use should require a warrant, the exceptions in the proposed bill were too narrow and exceeded privacy protections offered by the state and federal government in other contexts. The Federal Aviation Administration has been working on broad drone policy for years, but states have been moving forward with their own decisions in the meantime. As the Wall Street Journal notes, 20 states have passed drone laws since 2013, including 13 states that have restricted drone use for law enforcement.